There don’t seem to be many ex-pat Scots I have talked to who actually wants to see Scotland leave the union. Alas, even though we were born there we don’t get to vote NO. I certainly consider myself as a Scot first which happens to be part of the stronger union with Britain. I have lived in England and later the US for many years so my perspective is more as an outsider trying to make sense of the implications. Assuming the vote is YES, for me my first question is where do I get my passport renewed? Is there going to be a Scottish embassy or consulate in every location there is currently a British one? Do I get an EU passport or will I need to show it at every border crossing? Will I have to change my money at the border to a new currency? What happens to my NHS identity number? Will I need an SHS version? I certainly understand the drive for a perceived “freedom” but what are us Scots actually saying YES to? The shackles of today’s Scotland are not about slavery, religion, oppressors and usurpers? For many who vote YES perhaps independence is more a euphoric state of mind, purely symbolic rather than the reality. Whilst that all sounds grand, the reality is the potentially massive cost of disruption to the Scots when living this new reality. Is it really about the control of the money? Financial services is another major income generator but the Bank of Scotland seems set to move to London if there is a YES vote to leave. If the YES vote happens, I dread the “what have we done” moment when reality sets in, trust and the sense of unity has been lost with the rest of Britain and changes that cannot be undone hit the pockets of those who are now wondering what has actually changed. The defence services are gone, armies of Scottish Civil servants appear as new national services are duplicated. All this infrastructure needs to be built and paid for. this in turn requires the Scots pass these onerous burdens on in the way of taxes. Surely we have Oil to pay for all of this? Perhaps not as much as we thought? One primary driver for devolution seems to be about Scotland’s resources such as OIL which seems to have no long-term future with the decline in the North Sea: as outlined in this recent Washington Post article http://wapo.st/1r1onuc . I can’t help feeling a bit like the concerned parent who despite their guidance and warning sees their child about to make a tragic mistake. On the one hand, we feel that is is better for our child to learn by the school of hard-knocks. However, if the consequences of their action could be deadly or life-threatening then we have to step in…. …. in the case of Scotland seceding from the union, the outcome is somewhere between these concerned states. On that basis I would strongly urge a NO vote. If I was living in Scotland now, I would be right there frantically waving my NO flag. Posted by wastedspacer in Political Issues, Rants. So when does Preserve mean anything but preservation? After the fiasco of the veritable ocean of million-dollar homes that comprise the Dougherty Valley, the sneakily titled “Faria Preserve” is just another black-eye to the predominantly developer/real-estate enabled San Ramon Council. Not that the current council is squarely to blame, just that the 5 year old agreement/can was kicked down the road by the previous incumbents for the current folks to have to deal with. 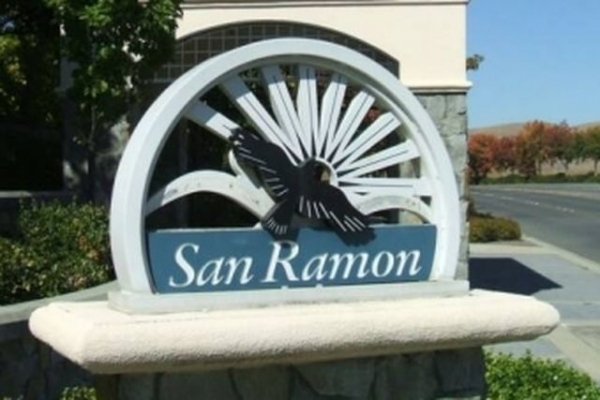 Reading between the lines, San Ramon is under an “obligation” to provide a certain percentage of affordable housing (or the state will penalize San Ramon). Vastly increased drought induced water consumption issues aside, this begs the question as to why that was not planned during the Dougherty Valley planning – oh yes, let’s not sully the high property values with the less desirable “affordable housing” blight and an even worse Bollinger Canyon Road nightly backup!!! But here we are in 2014 with a council forced to vote AYE to this fiasco. The “Preserve” is nothing of the sort, normally that label suggests, peace and quiet, tranquility and a riparian setting. Nope, it is HIGH DENSITY HOUSING and all of its accompanying traffic, access and other problems. Expect massive delays at the Bollinger/Crow Canyon intersections. We the people of San Ramon seem unable to stop this obvious train-wreck of a project it seems that contractually and state mandate governed we are locked into a commitment to see this tragedy through to its ugly conclusion. The council made these plans and agreements during the time when the San Ramon growth situation was vastly different than it is today (See this Bloomberg study:http://www.bloomberg.com/apps/… . The Bloomberg article identifies the “demand” for housing fueled by AT&T (moved to Texas), Chevron (moving many organizations to Texas), Zynga (rapidly declining revenues and massive layoffs), Robert Half (declining fortunes and recently voted the 7th worst company to work for by Fox Business). Thus there are strong arguments that the rationale behind pushing forward with the Faria Preserve no longer exists. So why is the Council being so boneheaded on pulling the plug? Is there something else they are not telling us? Posted by wastedspacer in Global Industry, Political Issues, Rants. It seems there’s no end to the corruption elements involved in trying to pick the deep pockets of Chevron. Now we have one of the engineers supported by the Amazon Defence Coalition who despite previous denials has recently been found to be a significant owner of an eco-remediation company who would benefit significantly should the lawsuit succeed! After a Judge is forced to recuse himelf and other prosecution supporting individuals are under clouds of suspicion – who will be next to get tossed off of the suit. Unbelievable, so much for any kind of common sense on this program, seems that a number of folk are trading in their old inefficient land-boats for new land-boats like F150 Trucks, Hummers, Boat towing Caddies, Lexus and other monsters. Recapping the declared point of the cash for clunkers program, I thought it was sold by the government as a way to cut emmissions and stimulate the economy? Seems it has merely redirected spending from the retail channel and encouraged many folk who already abuse the environment to keep on “trucking”! The German program has to traps to stem this potential abuse since it has a sting in the tail with up to a $1000 tax addition based on vehicles with a more significant CO2 production. The US program has no such clause!